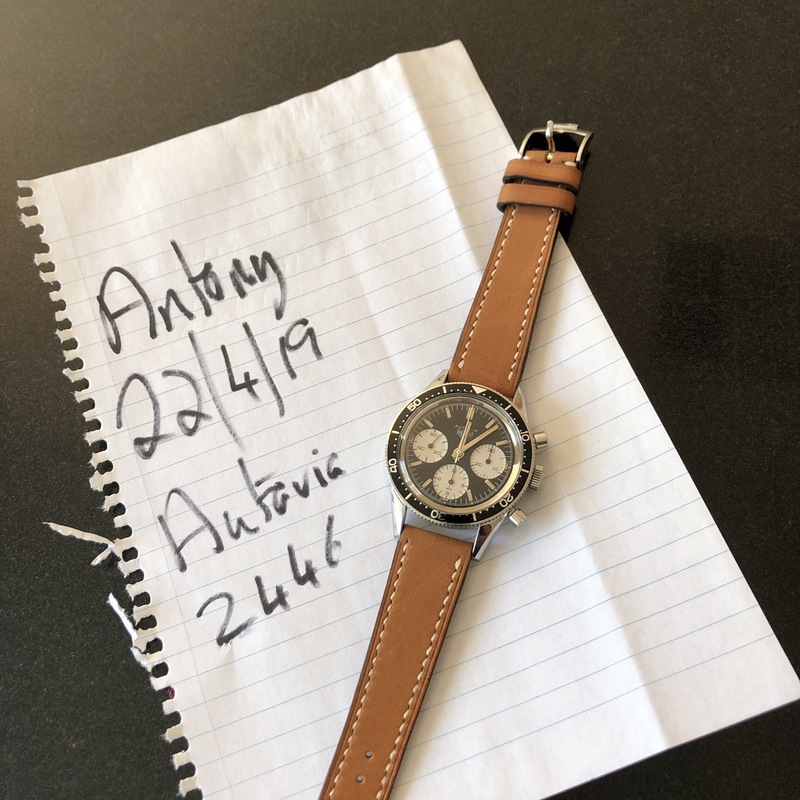 Reluctantly offering my Rindt Autavia for sale. Really thought this was a keeper but, as life goes on, things change. I have owned the watch since 2012 when it was fully serviced by Rory Macdonald in Melbourne. Service receipt will come with the watch. 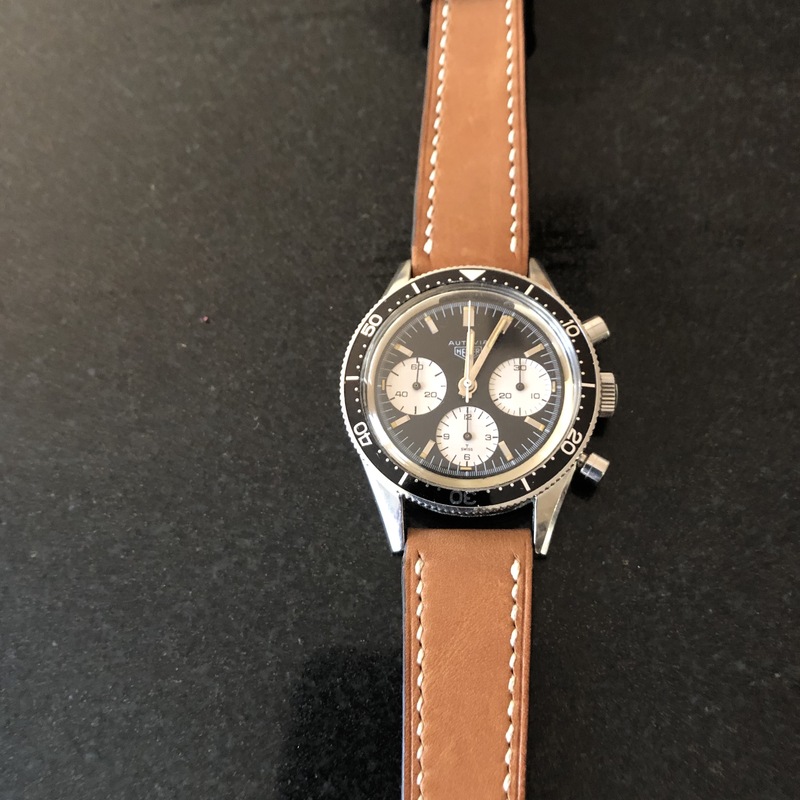 The watch has been worn sparingly since and comes on a brand new, hand made, unworn Jones in Tokyo Buttero leather strap fitted with genuine Heuer B buckle. Strap really suits this watch imho. 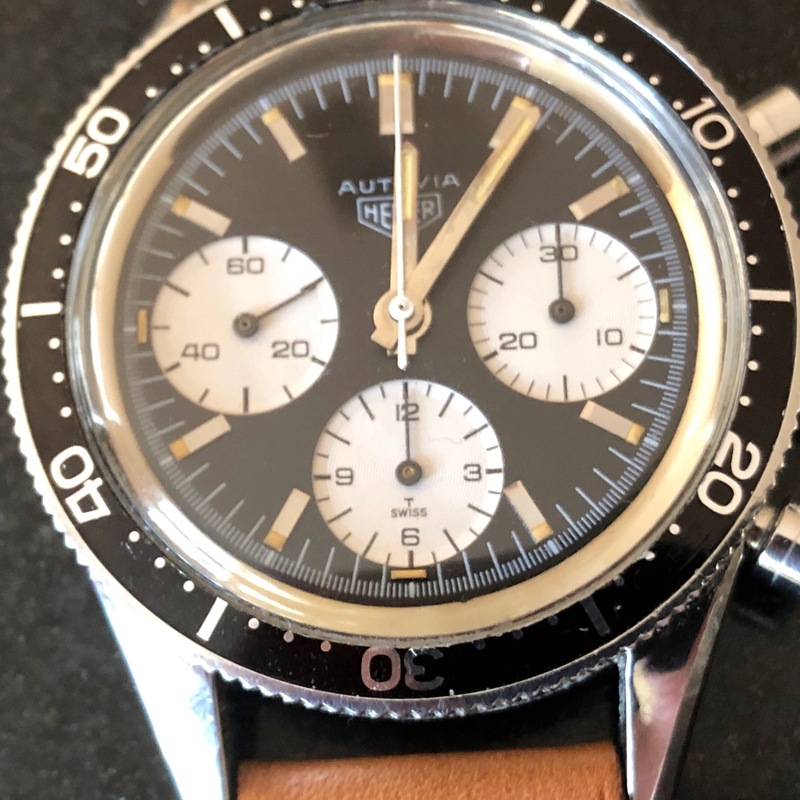 The Autavia has not been polished in my ownership although I do not know if it was polished in the past, however, all lugs are fat and sharp and the caseback engraving is clear and visible. The dial and hands on this watch are in stunning condition, no marks or blemishes, even on sub dials, truly beautiful to behold in the flesh. 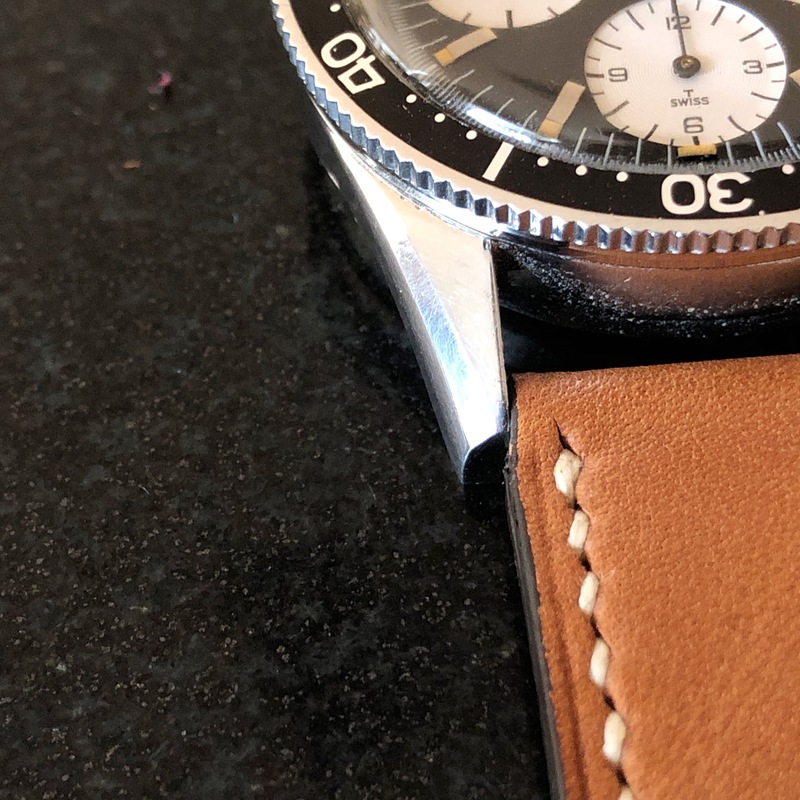 The lume is all original and completely intact. 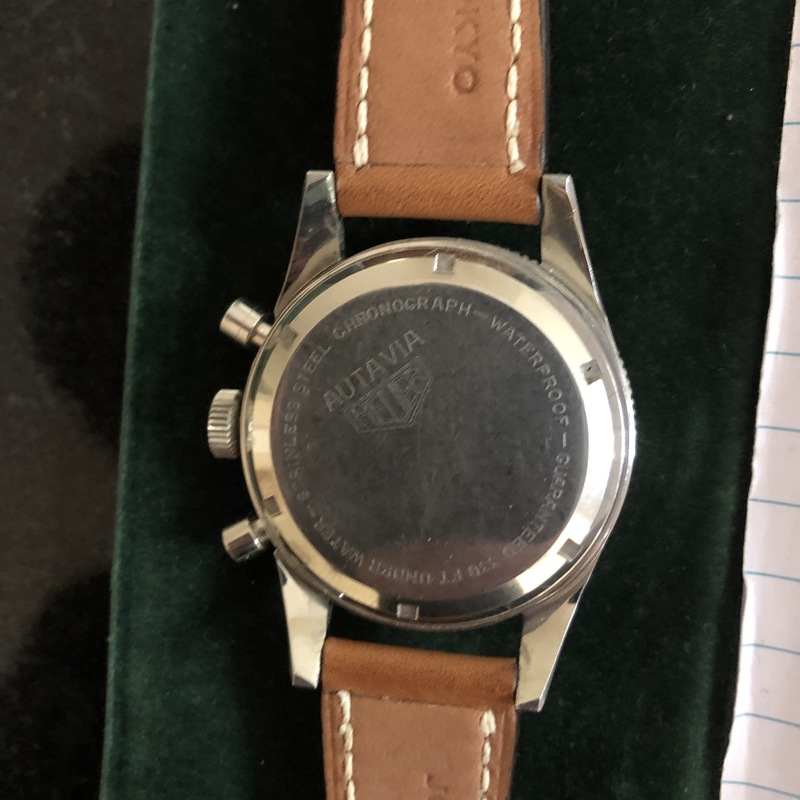 The correct Jochen Rindt minute bezel has some minor marks and crystal was replaced at the service, it is still unmarked. The 2446 has original pushers and a signed crown. 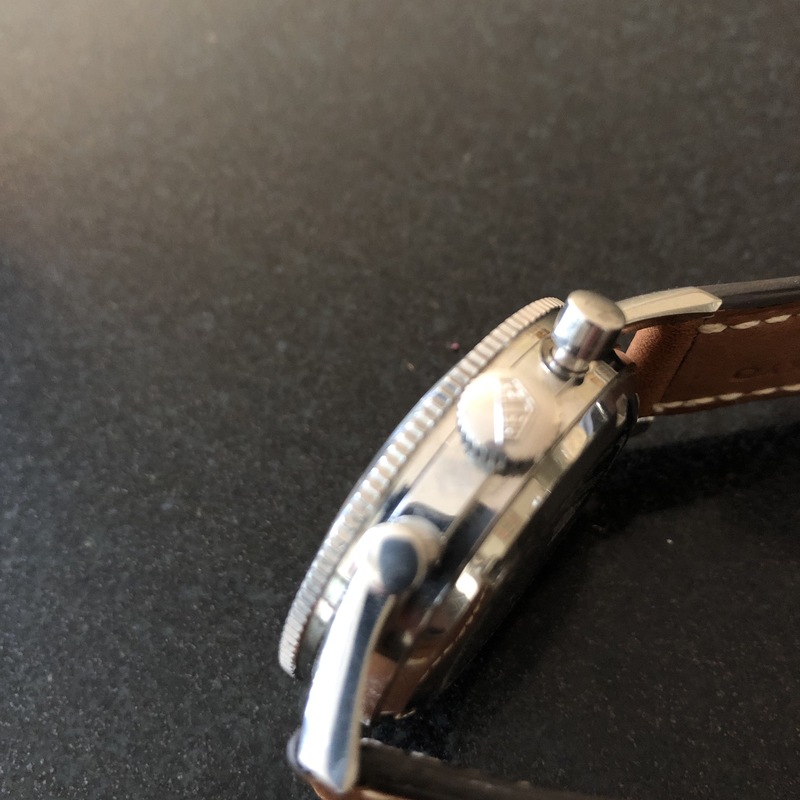 I have seen 2446 Autavias with and without a signed crown, this one looks as if it has been on the watch a long time. Watch is functioning exactly as it should, keeping excellent time, chrono starts, stops, resets cleanly and accurately. I know the Rindt prices have adjusted but I think it would be hard to find a better. Serial is clearly visible 953xx. I have been active on this board for several years now and can supply references. Happy to send more photos on request and answer any questions. Watch and I are in Melbourne Australia. Asking $20000US, insured shipping included.